You might have heard about electronic-cigarettes (e-cigs) and vape pens, but there is a lot you might not know about who makes them, what they are made of, and how they are dangerous. Each year, new designs diversify how people consume nicotine. How they work: The e-cigarette’s battery heats up an atomizer that heats a liquid. This liquid becomes an aerosol (not a vapor, see #3) that users inhale. Most times the liquid contains nicotine, a highly addictive substance. Some e-cigarette liquids contain marijuana. 1) E-cigarette manufacturing is not yet regulated. The Food and Drug Administration (FDA) has had the authority to regulate e-cigs since 2016, but hasn’t regulated them, yet. That means we don’t know exactly what is in each product. There are no safety standards with which the manufacturers have to comply. At the state level, New Mexico prohibits sales of e-cigarettes and nicotine liquids to minors, requires nicotine liquids to be in child-resistant containers, and bans e-cigarettes from school properties. New Mexico does not require retailers to have a license to sell tobacco products. Roughly 15% of retailers in New Mexico do sell tobacco to minors. When stores are caught selling to minors, the penalties are inconsistent and often weak. So, for the 1 in 6 retailers who sell tobacco to youth, there’s limited incentive to follow the law. 2) E-cigarettes are making children addicted to nicotine, and especially LGBTQ+ youth. E-cigarettes contain a plethora of flavors, which appeals to children. The human brain is not done developing until the age of 25. Exposure to nicotine during adolescence changes how the brain grows by impairing part of the brain which controls decision-making and mood regulation. Adolescents can get addicted to nicotine more easily than adults. This change to brain development can make youth more susceptible to other addictions such as cocaine. LGBTQ+ youth are more impacted by these products. One in three New Mexican LGB youth are current e-cigarette users compared to one in five heterosexual youth. One reason for this is elevated stress due to discrimination. Overall, e-cigarette use is increasing rapidly in youth. E-cigarettes such as the JUUL are most popular because they are designed to look like flash drives and the aerosol disappears quickly. Young people can easily hide e-cigs from their parents and teachers. That’s troubling because one JUUL pod contain as much nicotine as a pack of combustible cigarettes. Learn more about JUULs here. 3) It’s not just water vapor. E-cigarettes emit harmful chemicals like heavy metals (including lead), flavorings linked to lung disease, cancer-causing chemicals, and ultra-fine particles. The most comprehensive study of the health effects of e-cigarettes found there to be “conclusive evidence that in addition to nicotine, most e-cigarettes contain and emit numerous potentially toxic substances.” E-cigarettes emit toxic aerosols, not harmless water vapor both for the user and those impacted by second-hand aerosols. 4) E-cigarettes can make it harder to quit tobacco. 5) Most e-cigarette companies are owned by big tobacco companies. Big Tobacco exploits LGBTQ+ people, especially youth. These are the companies who continue to target market to oppressed populations, including, but not limited to LGBTQ+ people. Read all about their SCUM (Subculture Urban Marketing) plan to exploit LGBTQ people they call “alternative street people”. 6) Big Tobacco also target markets free cigarettes and coupons to impoverished communities, mental health institutions, and just about any other marginalized group of people. As the truth campaign says, tobacco is a social justice issue. Tobacco companies know that people experiencing stress and discrimination are more likely to use tobacco. There are more tobacco ads in Black neighborhoods than other neighborhoods. There are also more tobacco retailers near low-income schools. 7) E-cigs can explode in your house, in your pants, or even in your mouth. In May 2018, a Florida man died from the explosion of an e-cigarette. When explosions happen (and they’re happening more and more), usually the battery overcharging or shorting out is the cause. Why are companies allowed to sell products that malfunction and cause serious injury or death? See fact #1.
or DejeloYaNM.com. They can help you in many different ways. You decide. Talk to a live person on the phone or text. 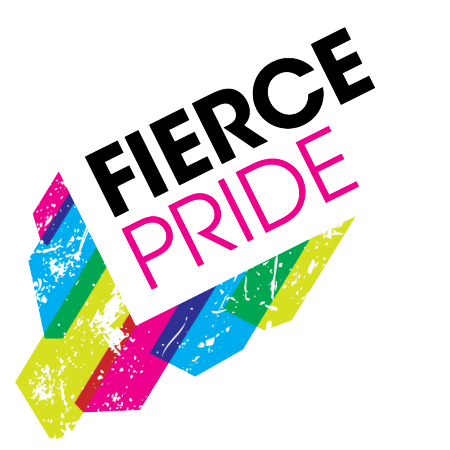 Fierce Pride is a statewide grassroots organization committed to improving health and well being for lesbian, gay, bisexual, transgender, queer, questioning, and two-spirit people in New Mexico.